1) Extracted an entangled cassette from a player and repaired it by splicing. I have redeemed several precious tapes by cutting and sticking them with cellotape, in a pre-digital era when there were no music backups. 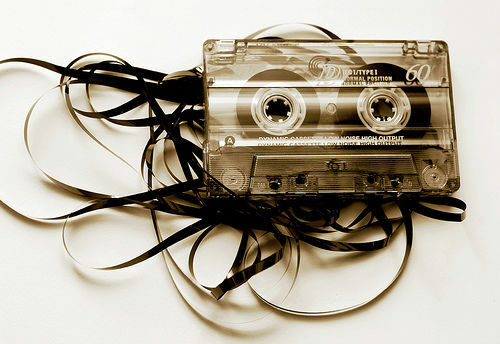 Incidentally, Instructables has this neat tutorial on how to repair a cassette. 2) Rented LPs (Vinyl records) from a local library. We used to have a large vinyl collection at home, including a number of Western Classical concerts.